So, I gotta tell you, it was dang ginchy to see Mike Allred put it front and center on the main cover for Archie Meets Batman ’66 #6, the miniseries’ finale. Suh-weet! Batcopter owner Eugene Nock must be so proud. 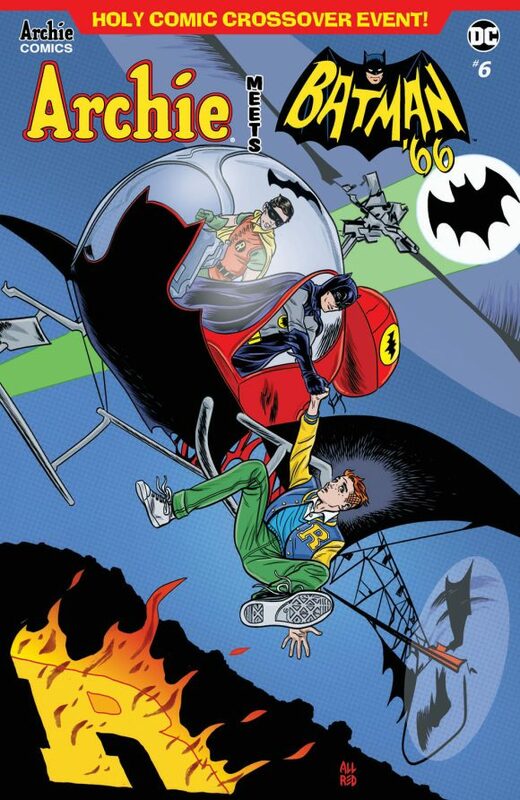 — FIRST LOOK: Mike Allred’s ARCHIE MEETS BATMAN ’66 #5 Cover. Click here. — I Rode in the Original BATCOPTER — and It Was Everything I Hoped. Click here.